Due to popular demand, I’ve (finally) put together a guide to the most essential DC Comics from 2000 to 2011. This is the pre New 52 era of DC Comics, and will give you a great overview of the DC Universe in this millennium. So here goes nothing – the fast track guide to the DC Universe, giving you all the essential story lines in a mere 25 collected book editions (or at least 25 stories). 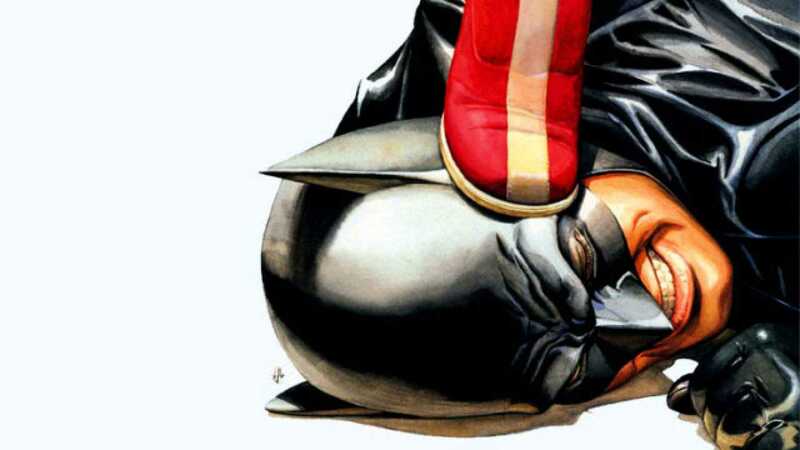 Trade collections are still frequently your best bet for DC, given their adamant refusal to unveil a Marvel Unlimited rival in the digital comics space. Save money, save time, and get to know DC! Technically, No Man’s Land ran for most of 1999, but it’s a great lead-in to the DCU heading into the new millennium. 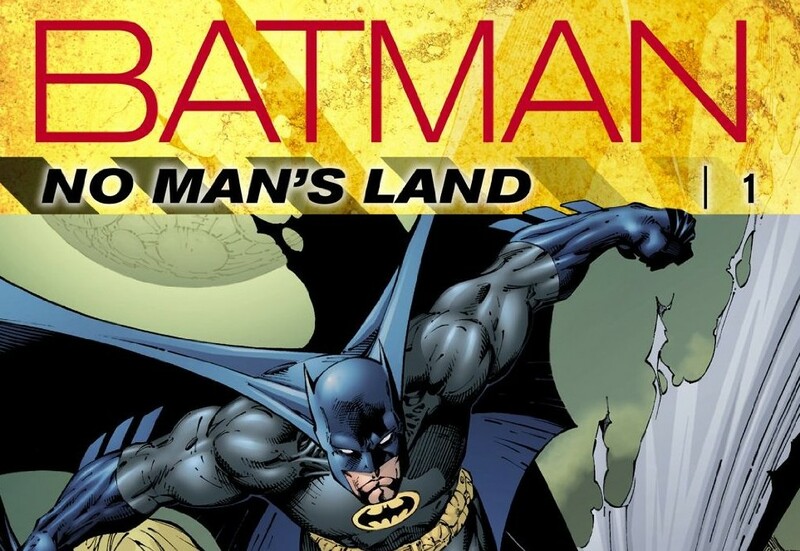 No Man’s Land is an enormous crossover throughout any comic even tangentially connected to Batman and Gotham City. Without spoiling anything, a giant earthquake hits Gotham and the city is declared “uninhabitable” and, well, a no man’s land. DC has recollected the entire epic across four volumes, which you can check out below. In an alternate universe, this Superman: Year One style story is the Man of Steel movie that actually leaves Superman fans feeling good about themselves. Mark Waid and Leinil Francis Yu do a Superman origin for the 2000’s right. 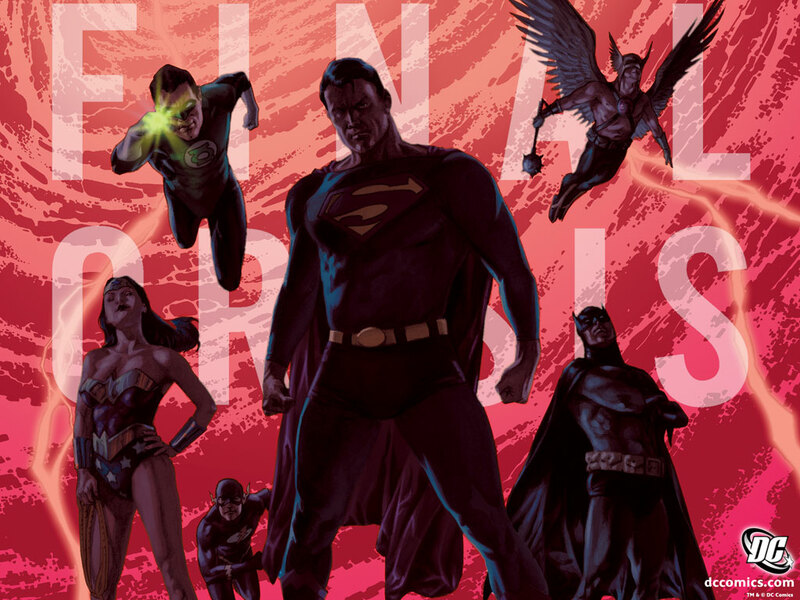 This original graphic novel from Grant Morrison & Frank Quitely establishes the Crime Syndicate, an alternate reality Justice League gone evil! You may well have seen the Crime Syndicate in the DC Animated version of Earth 2, or even the New 52 event Forever Evil . The crimes of Ultraman, Owlman, Superwoman, Power Ring, and Johnny Quick all begin here. With Grant Morrison’s excellent late 90’s run on JLA in the rearview mirror, Mark Waid stepped to the plate for the first (and possibly last) great JLA story of the 2000’s. This is without a doubt a defining Batman story for the 2000’s. Although it was published a bit later in 2007, this Green Arrow origin from Andy Diggle and Jock sets up the template for the CW’s Arrow . It’s hardly Batman: Year One , but this comic offers a plausable origin for Oliver Queen, and perhaps more importantly has shaped comic book TV in surprising ways. 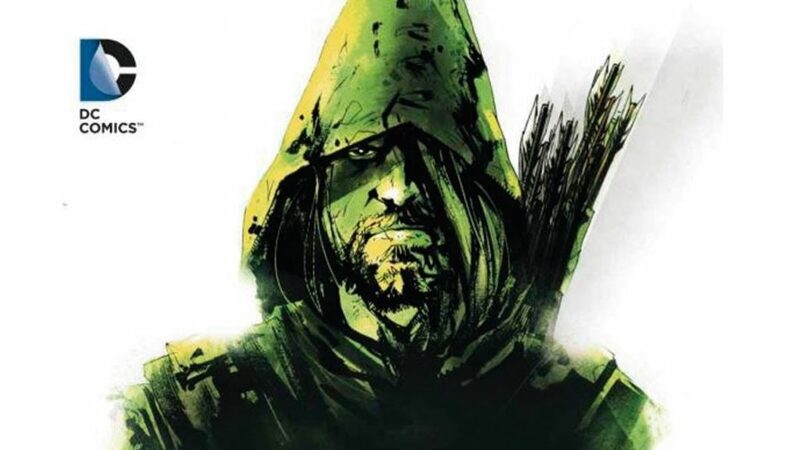 Speaking of Green Arrow, Kevin Smith took a stab at the return of Oliver Queen in the early 2000’s, and it’s my favorite comic book work from the Clerks director and self-avowed comic book man. A guide to DC Comics wouldn’t be complete without appropriate Wonder Woman representation, and we get that in Greg Rucka and J.G. Jones standalone graphic novel. Wonder Woman can be a more challenging comic to find an entry point, but the Hiketeia offers one of the better ones. Jeph Loeb has had tremendous success with Batman over the years by setting up complex mysterious featuring a parade of all Bat’s top villains, and Hush is no different. Unlike the excellent Long Halloween and Dark Victory with Tim Sale, Hush offers the added benefit of Jim Lee’s art. 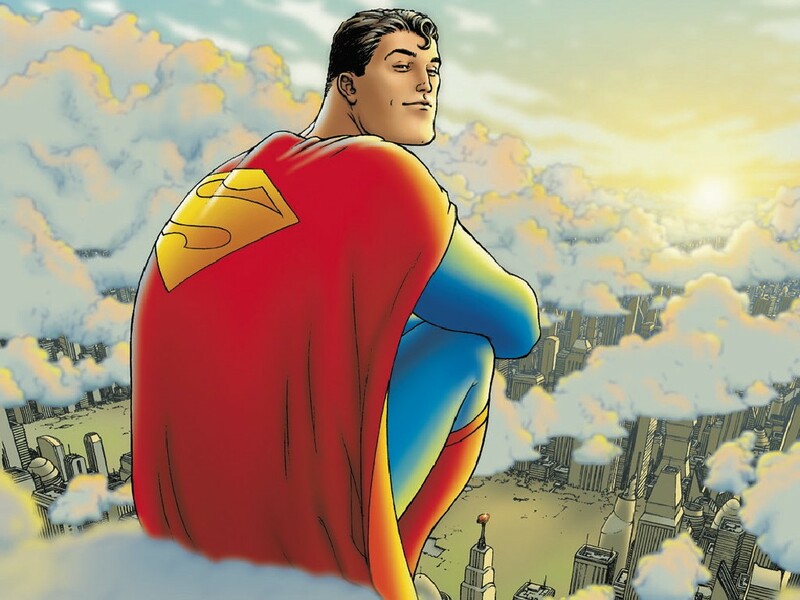 Grant Morrison and Frank Quitely’s All-Star Superman is the comic that made me stand up with rage any time someone says “Superman is boring.” It’s a brilliant comic, currently one of my top 20 comic books of all time. Speaking of some of my favorite comics of all time, Gotham Central is the best comic set inside either the DC or Marvel Universe that doesn’t star a superpowered individual. Ed Brubaker, Greg Rucka, and Michael Lark showcase the GCPD as they work the “freak beat,” dealing with crimes from the likes of Mr. Freeze and all the usual Bat suspects. There are also some important character developments that will impact the DCU as a whole. Identity Crisis is both a compelling mystery within the DCU that I loved when it was one of the first comics I read, and also a strong indicator of the darkside of poorly managed adult themes in superhero comics. That said, it’s one of the most influential and notable comics from DC, and one you should read for yourself to formulate an opinion. Another hugely influential Batman mystery, that has impacted Batman stories to this day. Includes some Flash issues intended as Identity Crisis tie-ins. 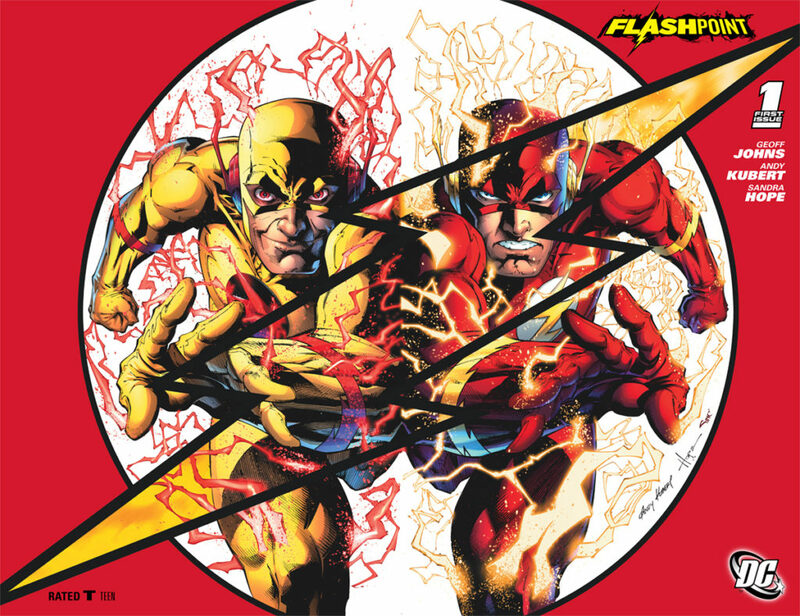 Flash #214 – #216 can be read after Identity Crisis #3. Flash #217 occurs after Identity Crisis #5. 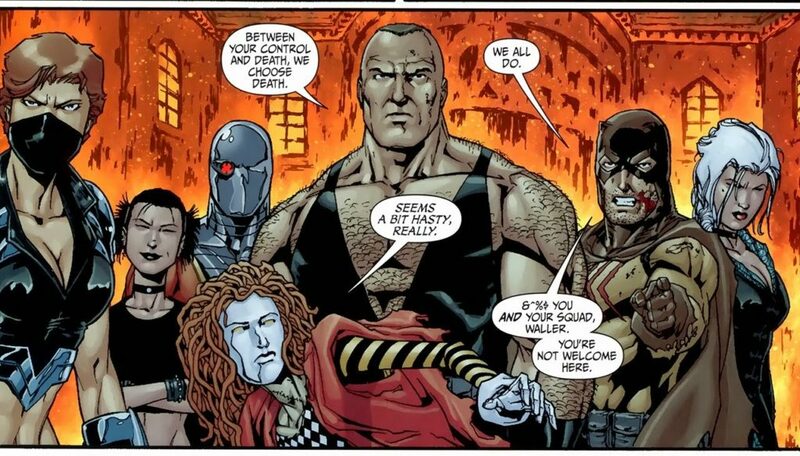 Your Suicide Squad equivalent for the 2000’s, with a group of villains banding together after Identity Crisis and leading right into Infinite Crisis. Brief interlude here for a couple of the better DC Elseworld’s from the 2000’s (while these may not officially be elseworlds, they’re alternate reality DCU stories). The New Frontier is writer/artist Darwyn Cooke’s exploration of DC heroes set during the 1950’s. It’s a fun, and visually gorgeous deep dive into the DC mythos, for nearly every relevant Justice Leaguer. Also my favorite Martian Manhunter story from this time period. Red Son is one of my favorite Mark Millar comics (up there with Old Man Logan ), working with artist Dave Johnson to reimagine what the world would look like if Superman had landed in soviet Russia instead of Kansas. In 1985, DC reset their entire comic book universe with the biggest crossover of its kind in the history of superhero comics: Crisis on Infinite Earths . The first Crisis changed DC comics forever, setting the stage for definitive modern origins of characters like John Byrne’s Man of Steel and Frank Miller and David Mazzuchelli’s Batman: Year One . It also forever staged ‘Crisis’ as the ultimate in DC events, and in 2005 DC returned to the Crisis well for the 20th anniversary. It’s worth noting that Infinite Crisis digs deep into the DCU, and is the least immediately accessible read on the list to date. While not 100% necessary, there are a handful of “Countdown to Infinite Crisis” stories that will set the stage for this event. Personally, I would say The OMAC Project is the most important to understanding the Batman / Superman / Wonder Woman relationship at the start of this book, but all of these provide context. One of the defining DC Comics runs of the 2000’s is the work from Geoff Johns and (frequently) Ethan Van Sciver on Green Lantern. The period begins in 2005 (prior to Infinite Crisis) with Green: Lantern Rebirth and carries on through DC mega events like the Sinestro Corps War , Blackest Night , and Brightest Day . The easiest way to consume all this material in order is with DC’s recently released Green Lantern Omnibus collections. Green Lantern by Geoff Johns Omnibus Vol. 1 will take from Rebirth through the Sinestro Corps War, and Green Lantern by Geoff Johns Omnibus Vol. 2 will take you from Secret Origins through Blackest Night . Finally, Green Lantern by Geoff Johns Omnibus Vol. 3 will take you through some of Brightest Day, but does not (apparently) include the actual core event issues. While the Grant Morrison Era of Batman isn’t quite as sprawling as Green Lantern, it still certainly requires it’s own Batman reading order. For the purposes of a fast track, though, the below trade reading order will help you through Batman by Grant Morrison. 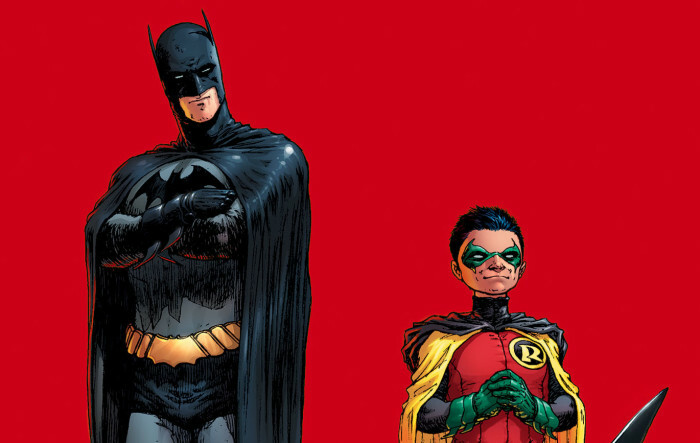 Batman and Son – Collects Batman #655 to #658, #663 to #669, and #672 to #672. Note that this deluxe edition also includes the issues contained within Batman: The Black Glove . Batman R.I.P. – Collects #676 to #683, and DC Universe #0. Note that R.I.P can be read in conjunction with Final Crisis, the next comic on the list. Final Crisis – See below. Batman: Time and the Batman – Collects Batman #700 to #703. Note that issues within this collection help resolve Batman R.I.P. 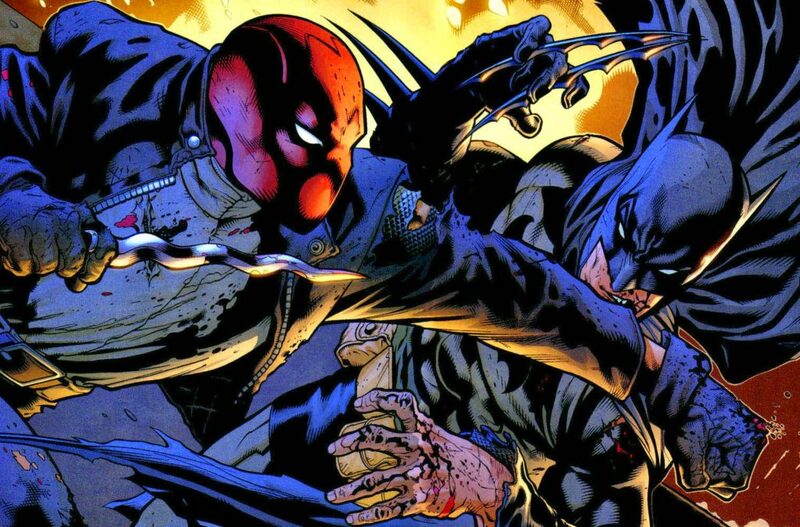 Batman: Battle for the Cowl – Note that this is not part of the Grant Morrison comics,but helps set up the coming Batman and Robin. Final Crisis is genuinely the most difficult comic I have ever read. It might be the most difficult book I have ever read, and that’s including Joyce’s Ulysses and The Bible . Nonetheless, true to its name this is DC’s Final Crisis, and therefore it’s one of the most important events in their canon of stories. Scott Snyder, Jock, and Franceso Fracavilla team up for one of the best Batman stories of the 2010’s, and a clear indicator that Snyder’s New 52 Batman was going to be something special. Grant Morrison’s Batman comics move into the Batman, Inc. phase, as the bat-family goes global. Return of Barry Allen as the Flash, after years out of the picture following his death during 1985’s Crisis on Infinite Earths . The Flash: The Dastardly Death of the Rogues! This alternate reality event marks the conclusion of pre New 52 DC Universe. If you enjoy the world of Flashpoint, I reocmmend checking out Flashpoint: World of Flashpoint which fleshes out stories set within the Flashpoint universe. How can I read “No man’s land” without preparing into it? I mean, I have downloaded it and read it but I didn’t understand what’s going on and why gotham looks like hell?! Isn’t Batman Inc. from the New 52? Just asking because the link takes you to a New 52 book and there was not previous Batman Inc. or anything like that. I just want to clarify since the guide is supposed to be stories pre-Flashpoint and ending with Flashpoint. I figured it out. There were TWO Batman Inc. runs. One for pre-New 52 and one during the New 52. The Amazon link in this article leads to the wrong one. Below is the actual link. You’re welcome! Yep, thanks for calling out the wrong link. Batman Inc. continues Morrison’s run on Batman after Final Crisis, and is one of the few series to continue into DC’s New 52. Link has been updated! Is this list new reader friendly? Im so confused Lol .. I just want a good order of DCU trades to read that follows a chronological and continuity timeline… is there anything like that out there ? does this start from the beginning of the DCU like Batman Year One acts as the first chronological book..
Hey another question, before I start this List , does No Mans Land include like an origin of Batman or no? Like I know this is all in continuity but does it start from the very beginning of the DCU? Is this is continuity? Or are they out of time order. The comics marked (Elseworld) are out of continuity, but otherwise these books would fit DC continuity pre New 52. Thank You for this, just read Crisis and was debating what to read next, this really helped! Hi, I really appreciate your work. Now that you’re kinda done with doing all the Marvel reading orders, I was wondering if you were going to make a new 52 guide in the style of the NOW guide (i.e. dividing the titles into different group solicits and waves and going through the trades and crossovers) that you did a while ago. That’s a little hard to do. Way how timeline sorry goes for marvel and DC is completely different most of the time. Marvel comics always been going at the same time for most of their series which imo is harder to get into. During my firm sub to marvel unlimited had a hard time trying to decide which issues during those years were super important and character backgrounds. DC story the timeline jumps around but imo that’s good since you don’t have to prioritize which book/issues To read first most of the time. Example right now in the main justice league story all the heroes looks are new 52 design and not for DCyou look they got in main issues for them right now. So go make a reading order for new 52 means you have to figure out which story takes place when in the timeline. Even then it’s hard to figure out a beginning, middle and end for new 52 since they intentionally try to not to clarify how many years ago this event happen and with new issues comes out then new events release which can be set anywhere in the timeline. He can still do the style how he does for marvel now but you must note some stories in the comics mention are not set at the same and you have to figure out yourself when did what take place.